Fischer RS., et al. (2006) J Biol Chem. 2006 Nov 24;281(47):36454-65. Epub 2006 Oct 1. 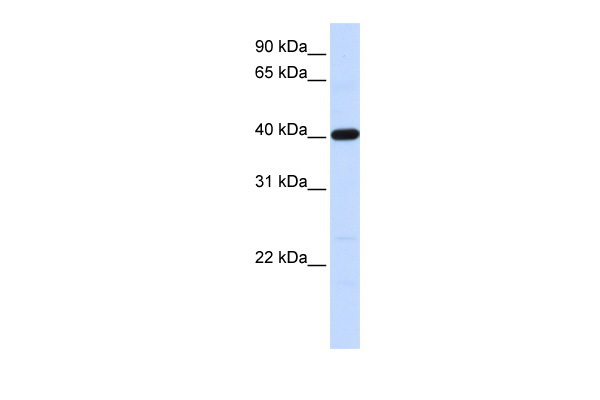 TMOD3 polyclonal antibody (A01), Lot # 060703JCS1 Western Blot analysis of TMOD3 expression in HeLa ( Cat # L013V1 ). 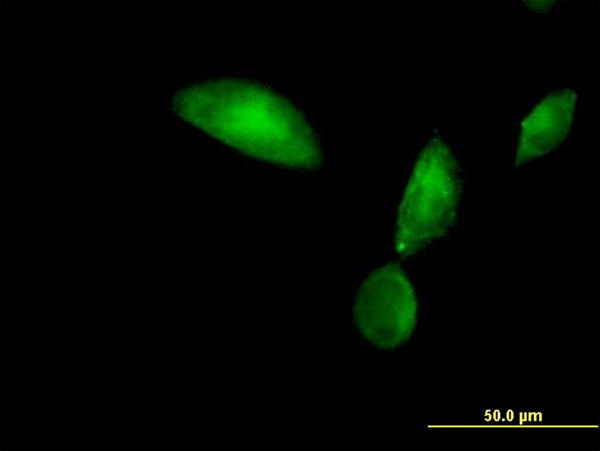 TMOD3 monoclonal antibody (M10), clone 1E1. Western Blot analysis of TMOD3 expression in human kidney. 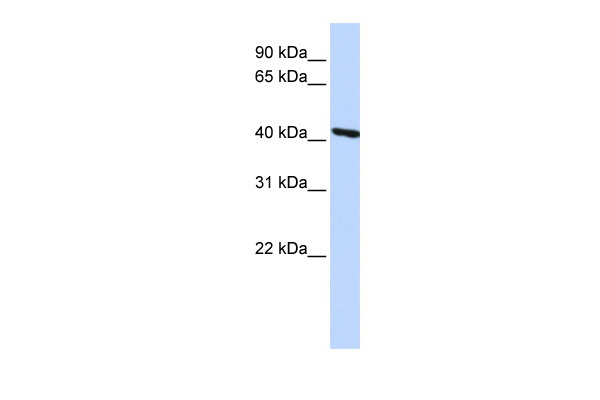 Western Blot analysis of TMOD3 expression in transfected 293T cell line (H00029766-T01) by TMOD3 MaxPab polyclonal antibody.Lane 1: TMOD3 transfected lysate(38.72 KDa).Lane 2: Non-transfected lysate.